California Gov. 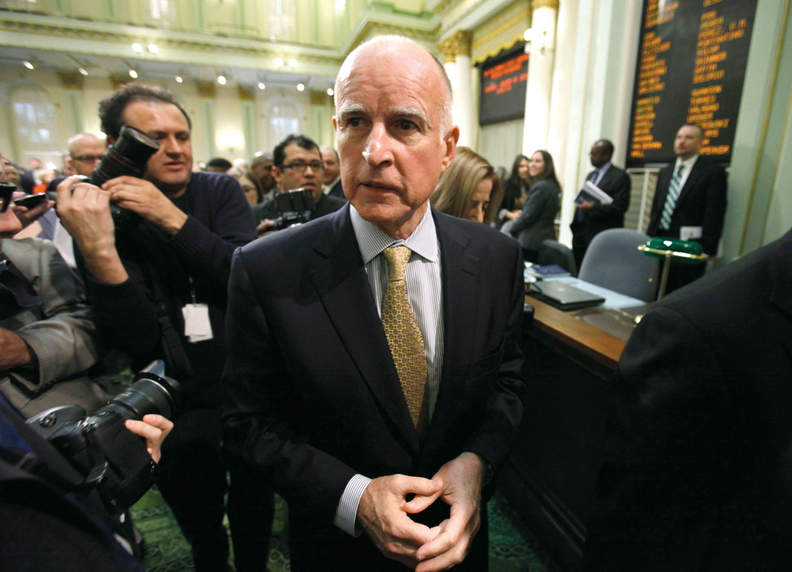 Jerry Brown trimmed the state's proposed budget for fiscal 2017 after projecting a decrease in tax revenue for the coming year, but awarded more money for value-based payment initiatives and behavioral health programs. Brown also proposed more money to cover healthcare costs for undocumented children up to age 19. Although there were modest increases in funding for Medi-Cal, the state's Medicaid program, patient advocates said the revisions do little to restore $15 billion in cuts made during leaner recession-era years. The revisions tighten general fund spending to $122.2 billion, down from January's proposed $122.6 billion. The state's Health and Human Services Agency took a cut of $747 million and now will receive $33 billion from the general fund. Yet the revised budget, released Friday, also includes $2.2 billion in federal funding for California's Section 1115 Waiver, which allows the state to move forward with a number of initiatives to implement value-based payment models. It also provides another $86.4 million for behavioral health treatment services. Medi-Cal is assuming responsibility for those services from the state's Developmental Services department. California has been operating with a more than $8 billion surplus but the state expects the good times to start to sunset. Calling a recession “inevitable,” the budget revision predicts a $55 billion decline in income, sales and corporate taxes through fiscal 2020. At the same time, Medicaid expansion in the state has put more than a third of residents on the Medi-Cal program. The federal government will begin to dial back its own cost-sharing, picking up only 90% of the tab in fiscal 2021 compared with 95% next fiscal year. Yet Medi-Cal payment rates are among the lowest in the country, according to data from the Kaiser Family Foundation. The California Hospital Association and patient advocates have been lobbying to reverse rate reductions that went into effect in 2011 and cut most services by 10%. The hospital association did win a victory when Brown agreed to reverse retroactive rate cuts imposed on hospital-based skilled-nursing facilities. The revised budget adds $135 million to account for the change and to increase funding for intermediate care facilities for the developmentally disabled. In addition to higher payment rates, consumer advocates are pressing legislators to expand healthcare coverage even further. A group known as the Health for All coalition plans to rally Monday in Sacramento to push for two bills sponsored by state Sen. Ricardo Lara. Senate Bill 10 would allow undocumented immigrants to purchase insurance from Covered California, and SB 1418 would extend Medi-Cal benefits to low-income, undocumented adults, respectively. The rally comes the same day that undocumented children and teenagers will be eligible for Medi-Cal benefits. Brown's revised budget includes another $45.4 million in funds to cover 185,000 children and teenagers, starting this month.